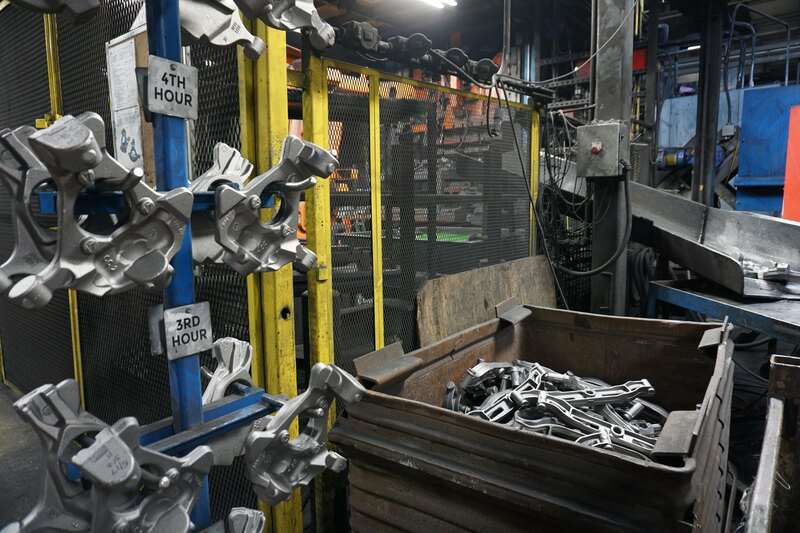 The Cadillac Casting facility is located in Cadillac, Michigan. Our 275,000 square-foot facility is situated on 43 acres near the city’s north end and provides easy transportation access via US-131 and M-115. 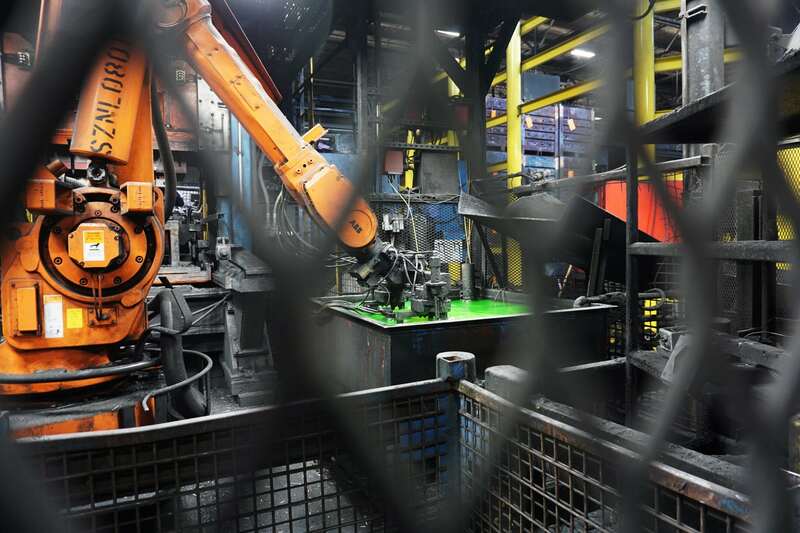 Our philosophy at this location has always been to promote capital investment in equipment, process upgrades, and technological advancements to stay on the leading edge. 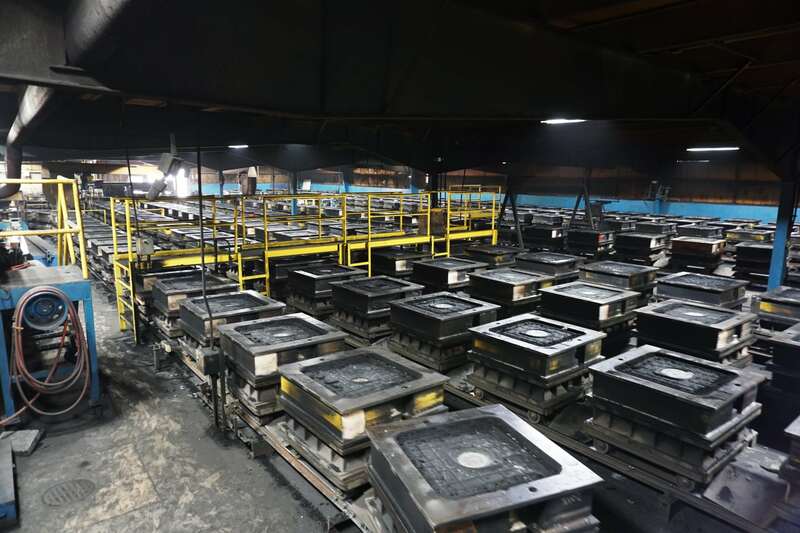 Cadillac Casting produces 100% of our products in ductile iron. We produce various grades of ferritic, pearlitic, and High Silicon Molybdenum ductile iron. Parts are produced in standard D4512, D5506, D7003 as well as custom blends of those grades to meet customer requirements. 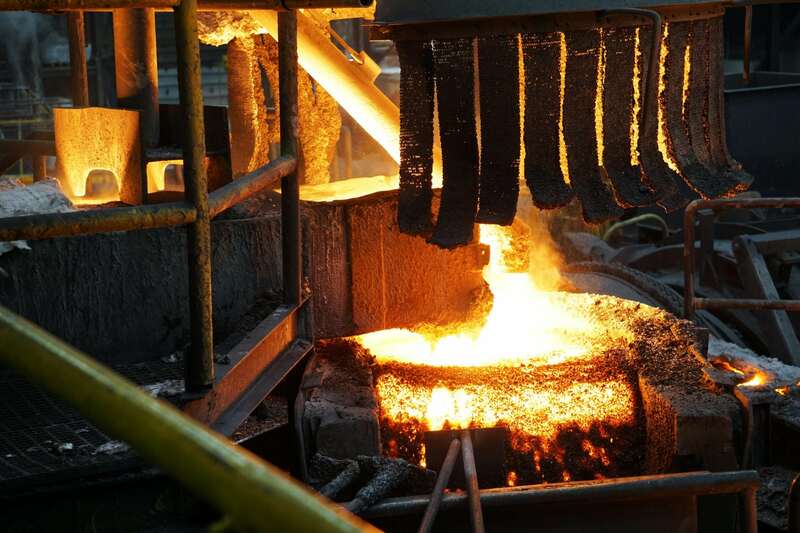 In addition, Cadillac Casting has developed our own version of high strength ductile iron (MaxLite(TM)) to increase strength, while maintaining high elongation properties and impact resistance in order to achieve weight savings when compared to standard grades of ductile iron. Our melt unit is comprised of an 84” water walled cupola with the permitted capacity to melt 200,000 tons per year. 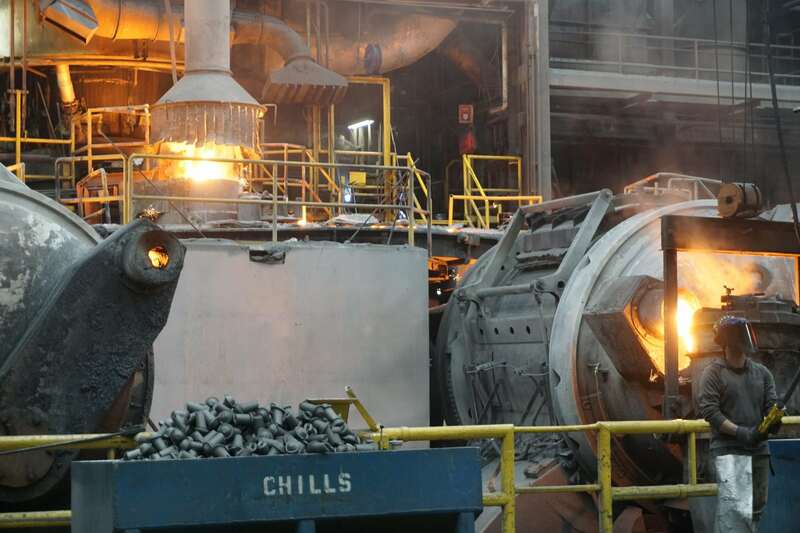 We maintain our iron in 3-65 ton holding furnaces. Our primary molding equipment is a horizontally parted CE SpoMatic green sand line which is capable of producing a wide variety of complex castings. 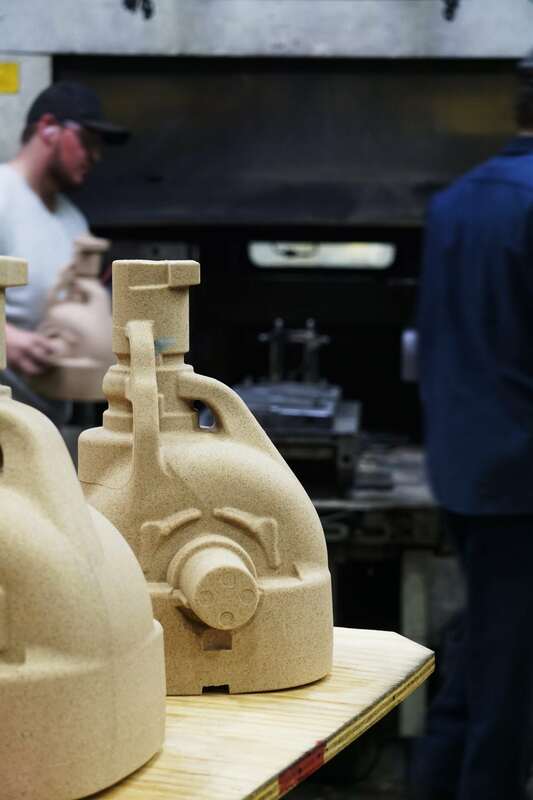 This line features automated pouring and “Best In Class” in-mold cooling which results in a more consistent metallurgical structure and improved casting machinability. 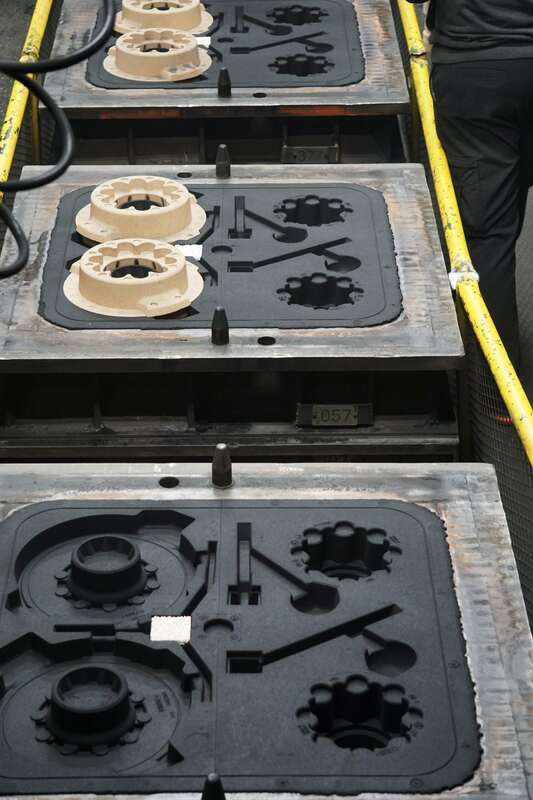 Our second molding unit features a Precision Sand mold system. This system is excellent for producing difficult, larger or rangy type castings. 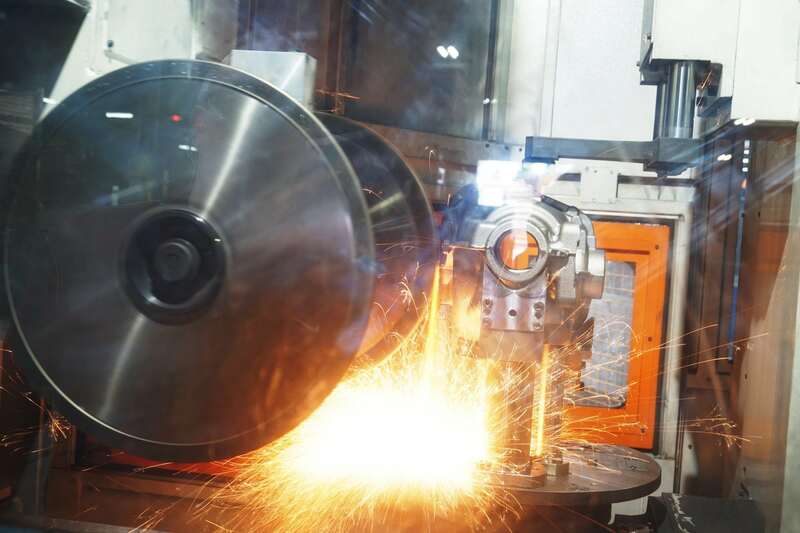 The facility features significant core making systems of many types and varieties. These allow us to support a full range of core shapes and sizes and provide us with ample capacity to fully support both molding lines. 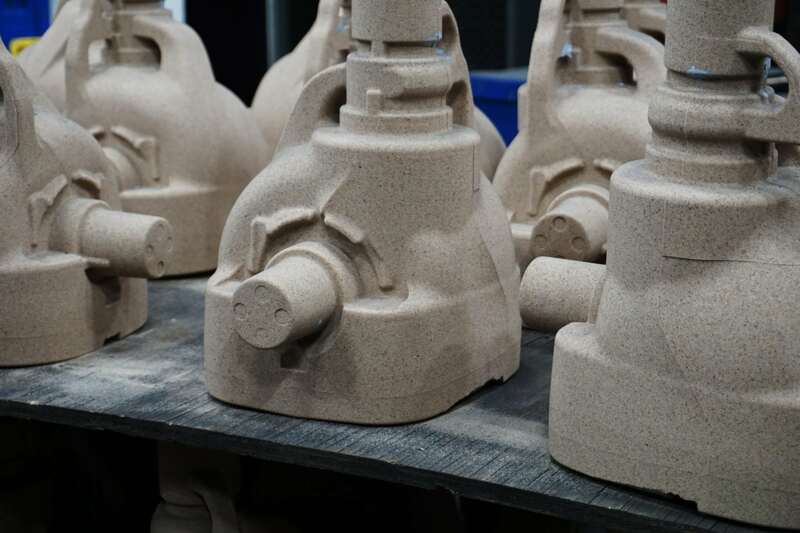 Our casting processing and finishing area incorporates industry leading innovation by combining our modern trim presses with a mix of robotics and CNC grinding operations. We have a world class metallurgical services laboratory with degreed metallurgists on staff, where real-time chemistry and nodularity testing is performed. We also have on site is our physical property testing equipment for certifying physical properties. 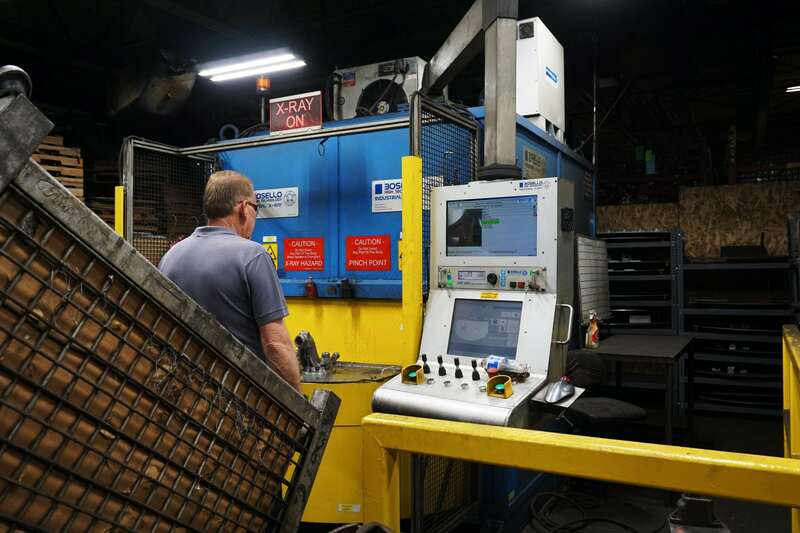 We support product specifications through ongoing CMM and Laser Scanning dimensional verification of daily runs, and through regularly scheduled CMM and Laser Scanning inspections on our production tooling. 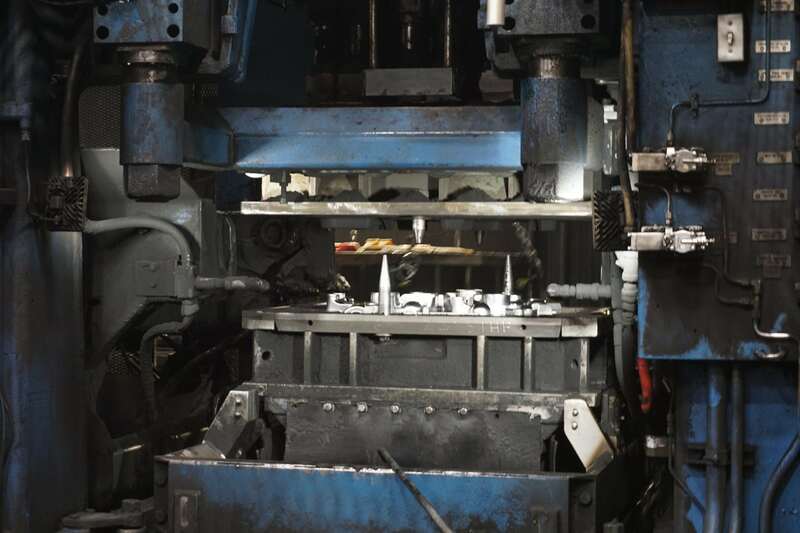 To support the numerous safety-critical automotive components that are produced in our foundry, real time ultra-sonic velocity testing for nodularity is conducted. Our finishing and final inspection area features numerous magnetic particle inspection cells and production x-ray systems. In addition to the world class operation at Cadillac Casting, we are able to support developmental and on-going product testing requirements at ATD Engineering and Machine, which is a subsidiary of Cadillac Casting, Inc. ATD is located in Au Gres, MI, and has an A2LA accredited laboratory to perform fatigue, static, and impact testing on components. For a full listing of ATD’s capabilities, please visit their website at www.atdemllc.com. Cadillac Casting, Inc. has gained a reputation for developing and manufacturing superior products. Quality and reliability are our top priorities. We perpetually strive to keep our products and facility unparalleled in the marketplace for technology advancements and excellence.